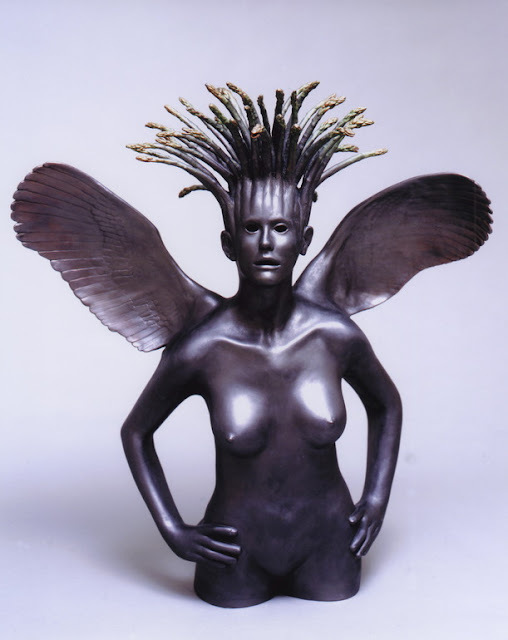 My work has always been inspired by the art of ancient and aboriginal cultures. 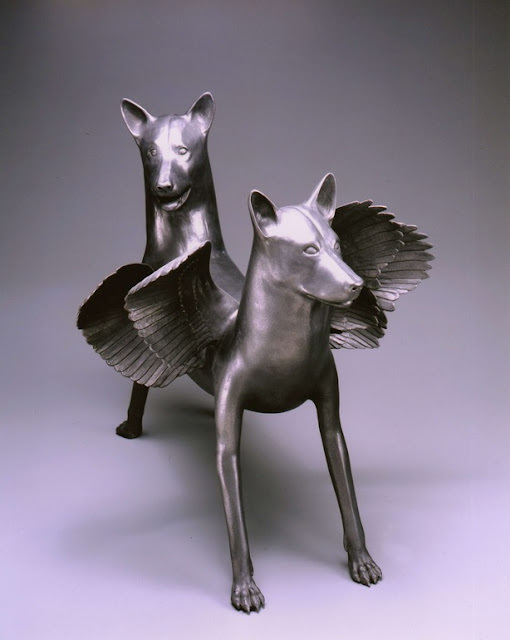 My first sculptures represented animal/human deities drawn from Egyptian mythology. Since then, my research has expanded to include religions and mythologies from India to Scandinavia, from Africa to New Guinea and from Alaska to Peru. I have found remarkable similarities in imagery and symbolism from all these cultures, which inform my own conscious and unconscious narratives. The underlying meaning of mythology explains the cosmos and the origins and purpose of the peoples’ existence. Deeper investigation reveals their beliefs about the wheel of life or the passage of the life force. The genetic predisposition to illustrate idea as icon is seen in the incredible similarity of archetypal images from vastly different and isolated geographies. The study of these mythologies reveals the essence of the characters which form my own pantheistic art. In avoiding an initial tendency to copy rather than invent, the animals, people and events, which surround me, feed into the unconscious soup from which my characters are ultimately drawn. Whether inspired by my wife, my dog, the swan at the lake or a book on Dogon art, the imagery I portray often feels archetypal to me, even in the absence of historic precedent.